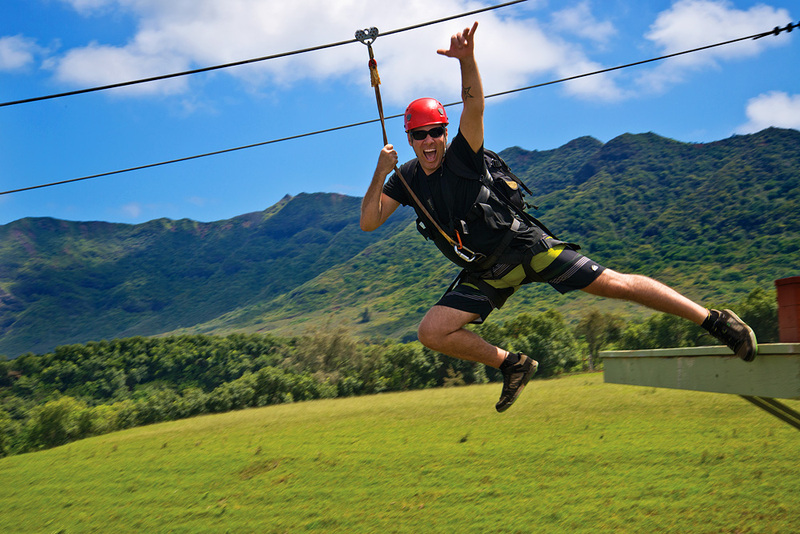 OUTFITTERS KAUA‘I is the first tour outfitter on Kaua‘i to add the thrills of ziplining to its menu of adventures and has continued to lead the pack with innovation and spectacular scenery of Kipu Ranch. With the recent launch of their latest creations, they have taken the excitement to new levels. The Nui Nui Loa offers an amazing combination of elevated walkways, suspension bridges, the Zippel, a refreshing water zip and 5 tandem lines including the 1800' monster of all center dismount ziplines. Outfitters’ zipline course is designed, built and operated according to the highest safety standards as set by the Association of Challenge Course Technology.